Debuting its journey to the Caribbean from Miami in November 2018, Symphony of the Seas is officially the world’s largest cruise ship. At 1,188 feet long, the ship has a passenger capacity of a small city (6,780) and all the features needed for non-stop action. For starters, look for its two-story family suites that have a slide connecting the second and first floors. Its revolutionary firsts continue with glow-in-the-dark Laser Tag, Playmakers℠ Sports Bar & Arcade, and spectacular performances and show on stage, ice, water, and air. The first mega ship to debut in Alaska, Norwegian’s Bliss seems to have been built for purpose. With a guest capacity of around 4,000, it has an amazing observation lounge offering 180-degree views of the sea. Think glaciers, fjords, dolphins, and soaring bald eagles. 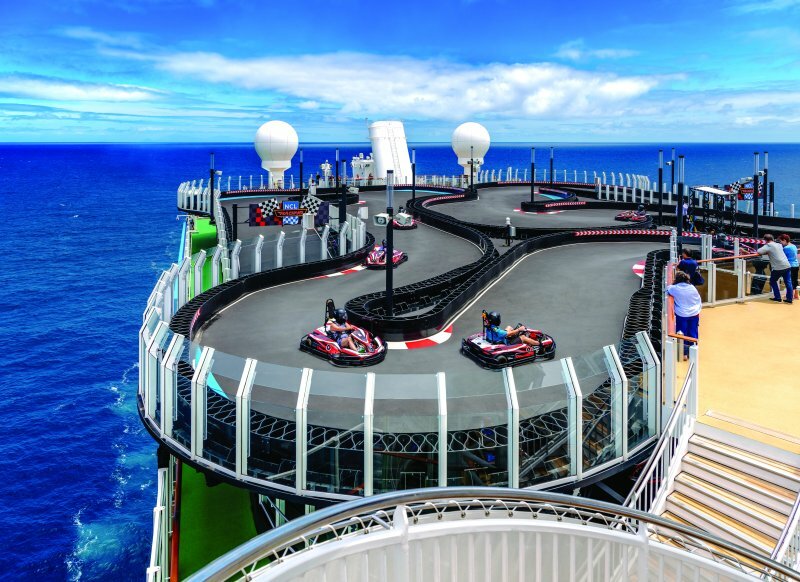 Among its firsts is the largest race track at sea. Get ready for thrilling rides and hairpin turns under blue skies, and above turquoise waters. Craving some BBQ? Head to Texas House smokehouse for some delish treats with all the fixings. The Bliss also sails to the Pacific Coast, Mexican Riviera, Panama Canal, Caribbean, and the Bahamas. Just when you think, this can’t be topped, Norwegian has another cruiser to keep you on your toes. Launching in Fall 2019, the Encore is going to be the line’s most innovative ever. Check back as more details emerge. 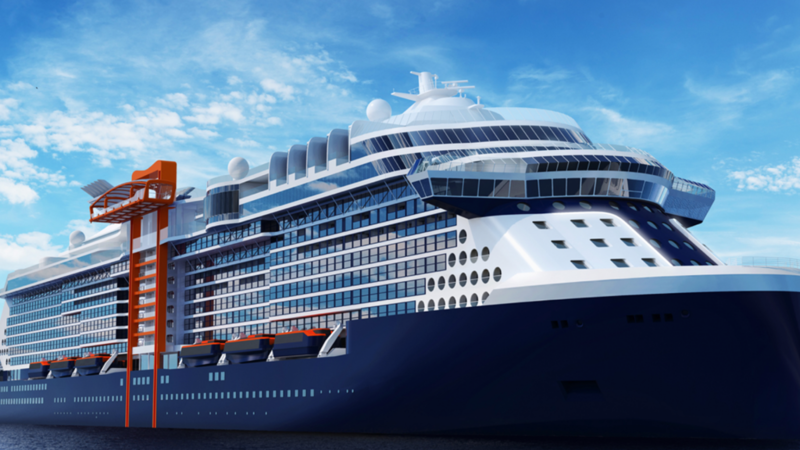 On the verge of introducing its revolutionary new ship that’s “designed to leave the future behind,“ Edge by Celebrity Cruises comes loaded with unique, futuristic features. The place to see and be seen on board is the stunning Grand Plaza. Inspired by the piazzas of Italy, this 3-story venue with specialty restaurants and bars promises to be a popular gathering place. The ship’s entertainment scene (theaters with no curtains, people!) is a visionary collaboration of design and technology. Get ready for some edge-of-the-seat performances. Time to fine-tune your body and reinvigorate your mind? Head to the spa or to Eden, a modern space where nature’s presence defines it as the “room that lives.” But, wait…there’s more! 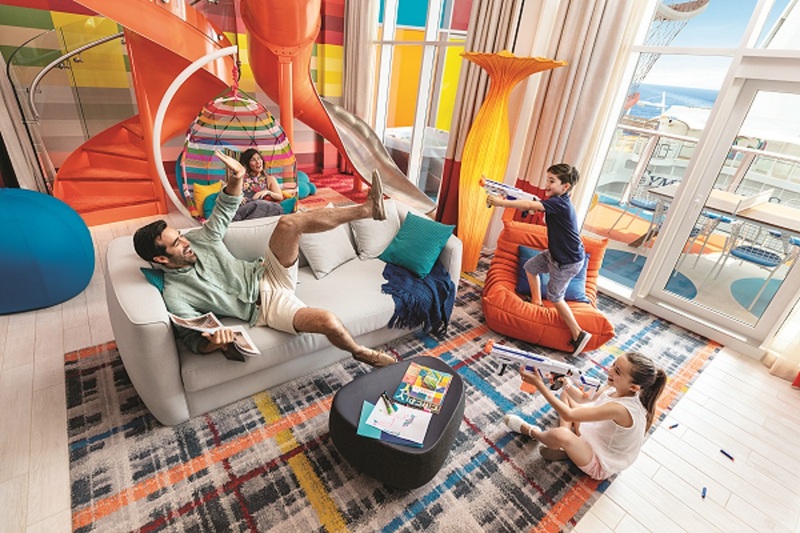 When you’re done with the indoors, head out and soar high (13 stories high, to be precise) above the deck on the Magic Carpet – a floating platform with comfy seating, bar, and live music. With so many incredible options floating out there, your travel agent can help you plan the right cruise vacation for you.